• Shell: polypropylene injection-molded; Backing: EVA; Sleeve: polyester / rubber. • 3D flexible shield offers low-profile, maximum protection. • EVA backing for optimal comfort and durable cushioning. 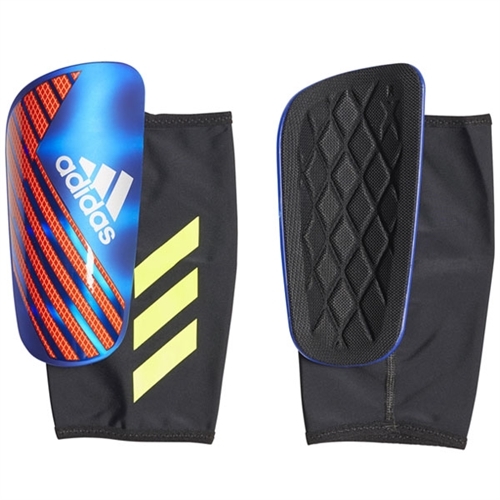 Our adidas X Pro Shin Guard are tough shields curve two ways to perfectly fit the contours of your shin. On the back, molded EVA cushioning wicks moisture to keep you dry. Lightweight compression sleeves keep everything in place.